somthing you might have not seen. ????????????????????????????????????????????????????????????????????????????????????????????????????????????????????????????????????????????????????????????. Wallpaper and background images in the o rei leão club. i only spotted this when I edited this pic!!!! It's funny how people come up with something that isn't true. Zira IS the biological mother to both Vitani and Kovu. 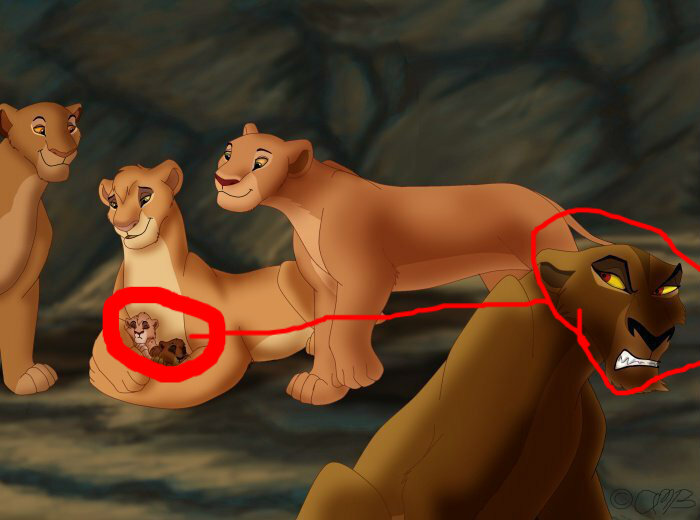 btw, whoever that is, isn't a official TLK character. Whever that Tama of yours is, she doesn't belong to the movie universe. It can be proved that Zira is the mother of VItani, Kovu and Nuka but you can't come up with real facts (not pictures or stories made up by fans) to prove your theory. @luluish Tama is from the books like Kopa. So she isn't a official character. Vitani and Zira are from the movies and they are Disney's creation while Tama, Kopa etc aren't. So Vitani is the daughter of Zira and no one else. Guys don't comment here. This is over two years old. Thanks!